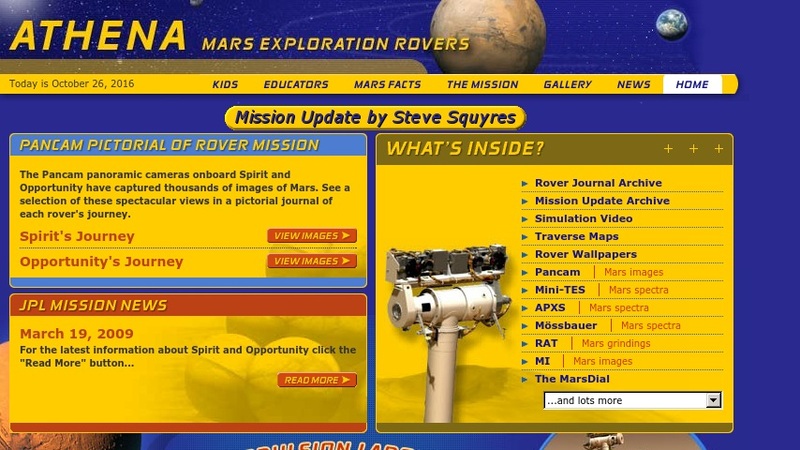 This site provides images, information, and educational materials connected to the Mars exploration rovers Spirit and Opportunity. Materials include archived press releases for the mission; traverse maps of the rovers' paths across the surface; a large archive of panoramic images of Martian landscapes and geologic features; and information on other instruments carried by the rovers. The kids' page features interactives, a link to the Opportunity journal, profiles of mission scientists, and information on an internship program for students. The educators' page features lesson plans and activities and links to additional resources from other web sites.